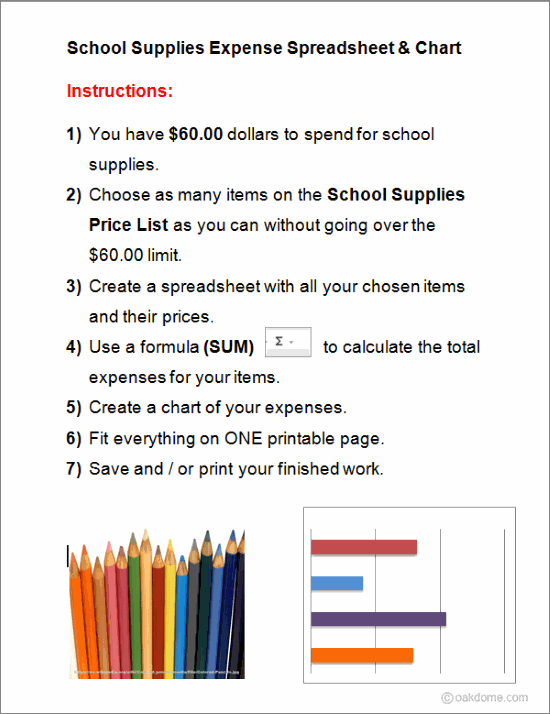 Assignment: Students create a spreadsheet using Google Sheets to show how much they have spent on school supplies. Students use the SUM function to calculate the total expenses. 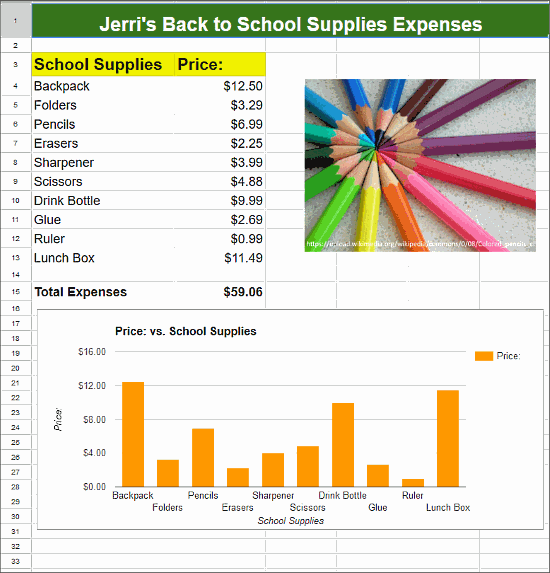 Students create a lovely chart showing their school supplies expenses. Usage: Teachers download the files and make personal copies for themselves, then share the files with students as needed using Google Classroom or a Google Drive shared folder. 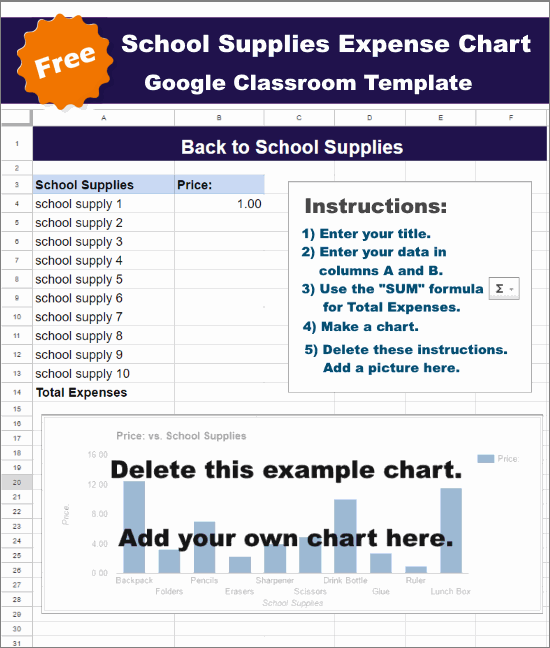 Download and share this Google Sheets template with students. Students enter their own title and spreadsheet data. Students create a chart using their data. Students add a relevant picture. Students can format text and colors to suit their preference. A finished copy for teachers to download and use. Download and make these assignment instructions available to students to guide their Google spreadsheets creations. 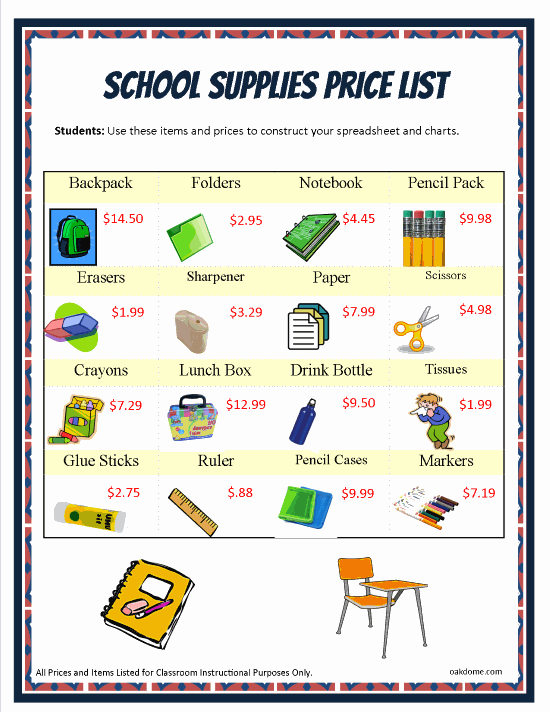 Download and share this price list with students. .
Students can use the items and prices on this list to create their spreadsheets. Learn how to create a simple google budget spreadsheet with a chart. This video covers the basics of entering and formatting a chart title, entering data, using simple formulas and creating a chart.